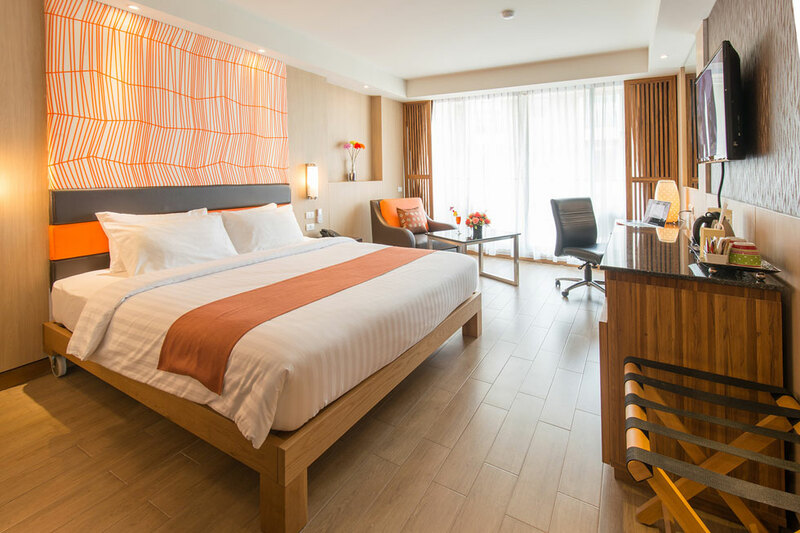 Located at a 5-minute walk from Nana Skytrain and in the heart of the Nana Plaza District, this hotel offers spacious rooms inclusive of an HD TV, a small balcony and bathrooms with a separate shower & bathtub. 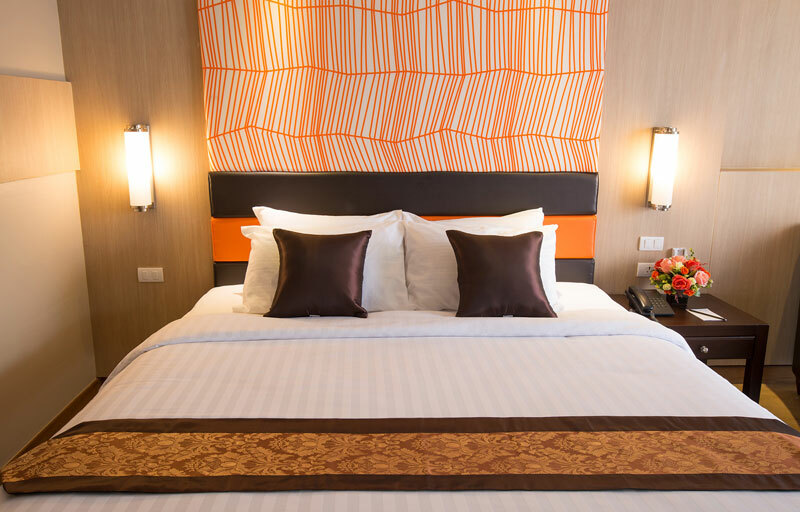 As this hotel is close to Soi 4, you have easy access to a number of restaurants, bars, and entertainment options. 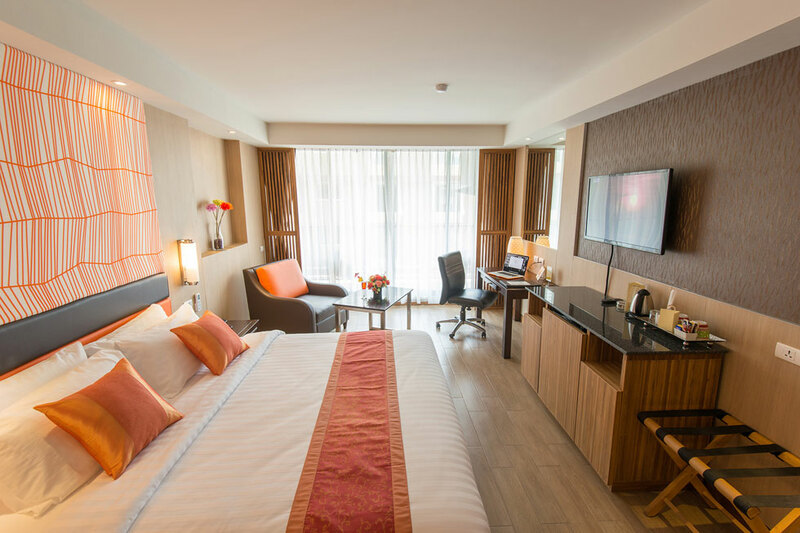 Dynasty Grande Hotel Bangkok is a lavish 4-star hotel which is located in the key area of the city, where there is a lot of hustle and bustle with the commercial areas, shopping centres, entertainments, embassies, banks, and the International hospitals. 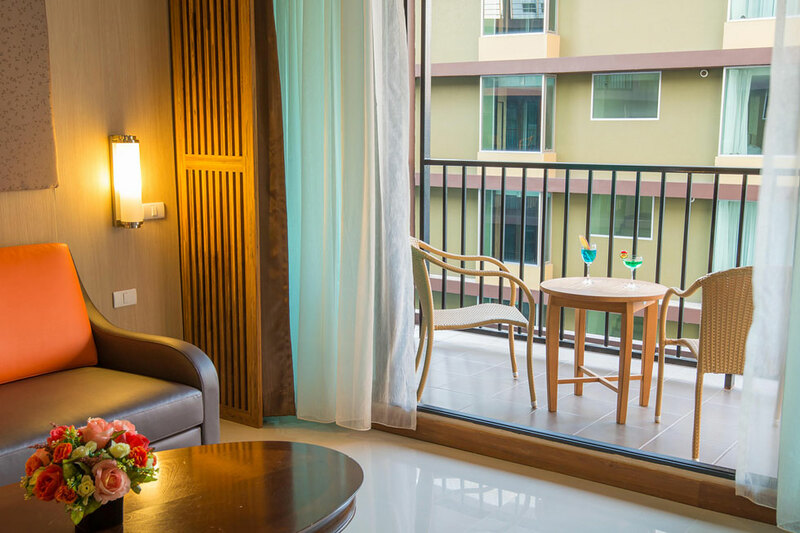 Dynasty Grande Hotel is the symbol of luxury in Bangkok and is considered a paradise for couples and honeymooners as they get to enjoy the best infrastructure and facilities here. 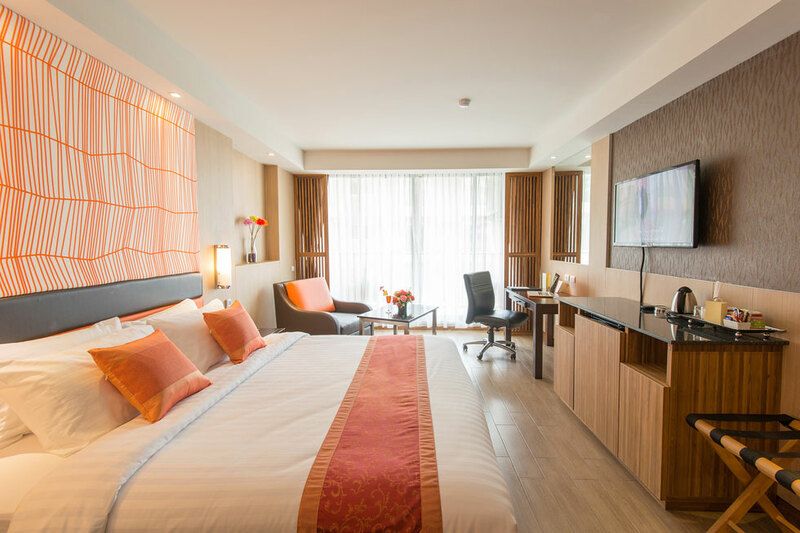 This hotel has twin 7-story buildings including the Bloom caf which is popular for the fusion of Thai and International cuisines along with the bar. 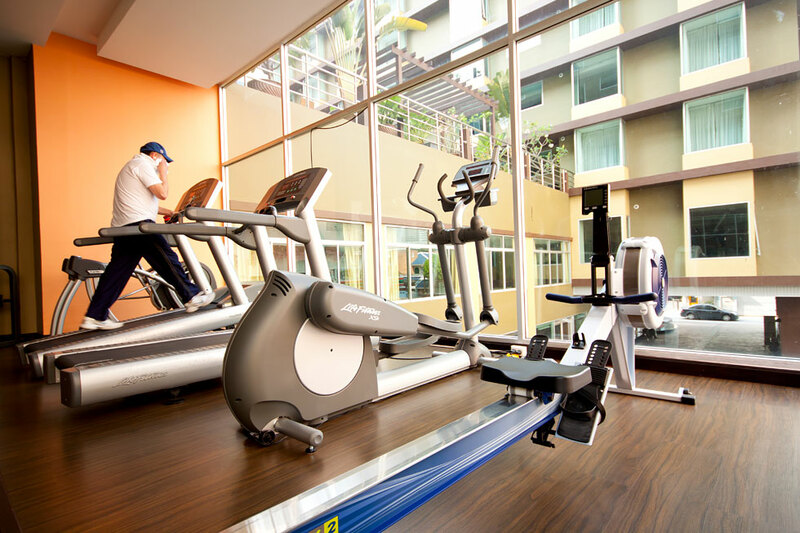 The fitness centre available with muscular machines and CYBEX cardio also adds to the advantage of staying in the hotel. 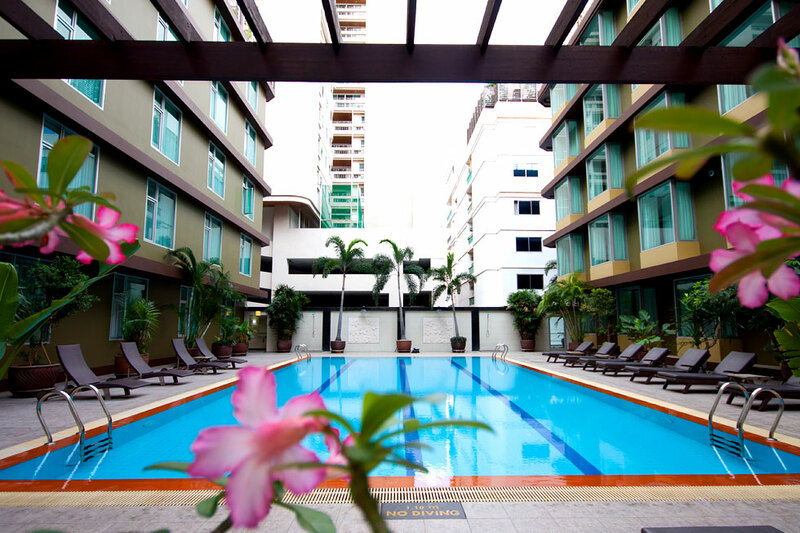 Staying at Dynasty Grande gives the traveler easy access to all other parts of Bangkok. The twin building with 7-story is the Dynasty Grande building. 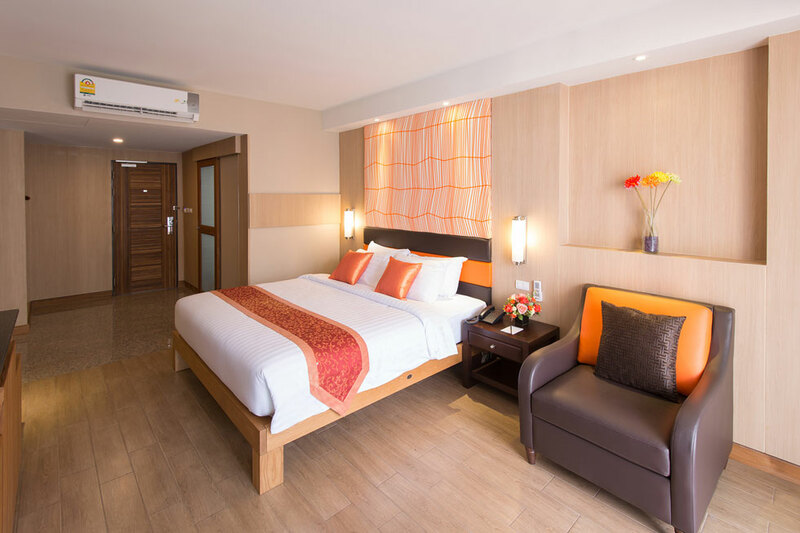 It has got so many different types of rooms and comes with all the facilities that anybody would want to enjoy during the trip. They offer a great deal of comfort and convenience for all of the visitors. 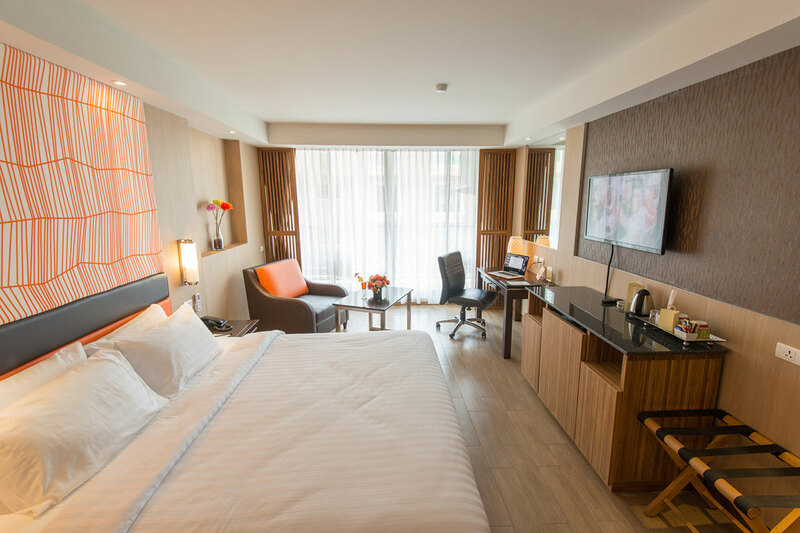 The deluxe and the grand deluxe rooms are a blend of the finest facilities that is targeted for creating the best customer experience. 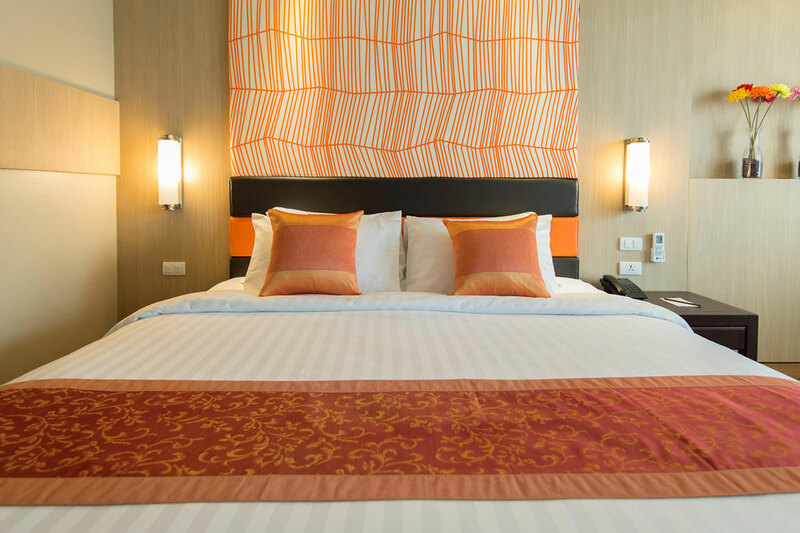 The beautiful lit and romantically designed rooms are also ideal for the couples. 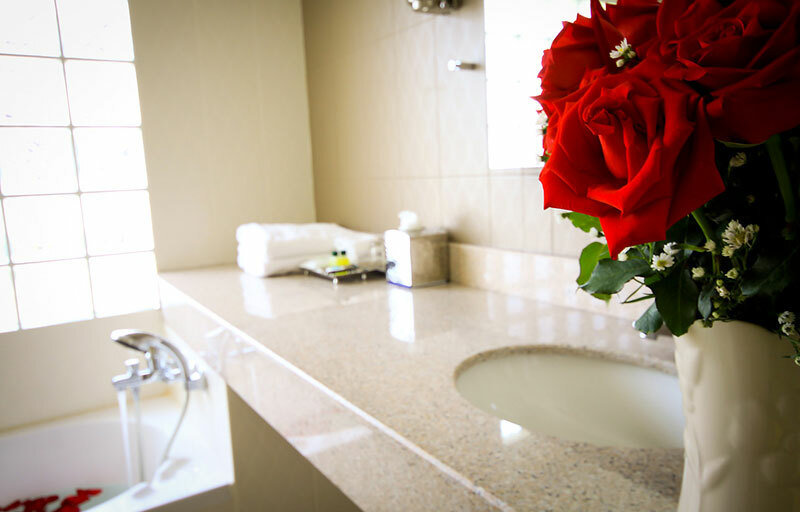 They have also spent a great deal of time in getting the perfectly designed bathrooms. 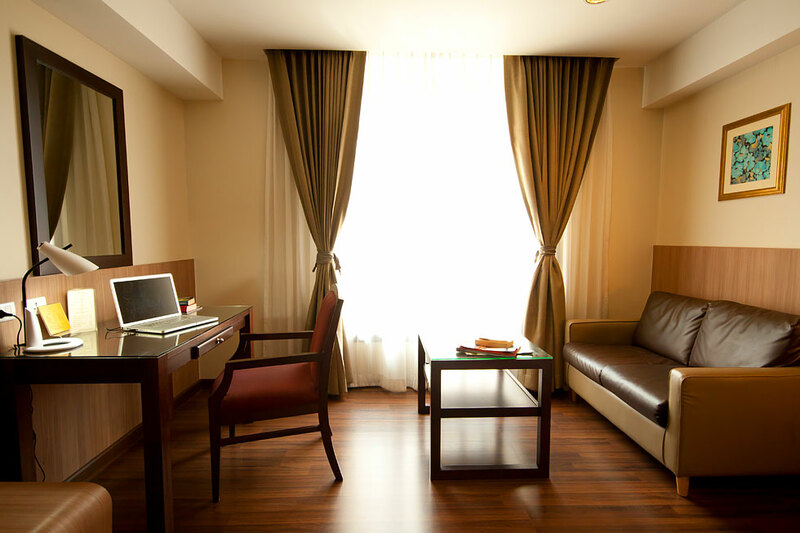 The free WiFi facility and the air conditioner are the add-ons to the rooms for better convenience. 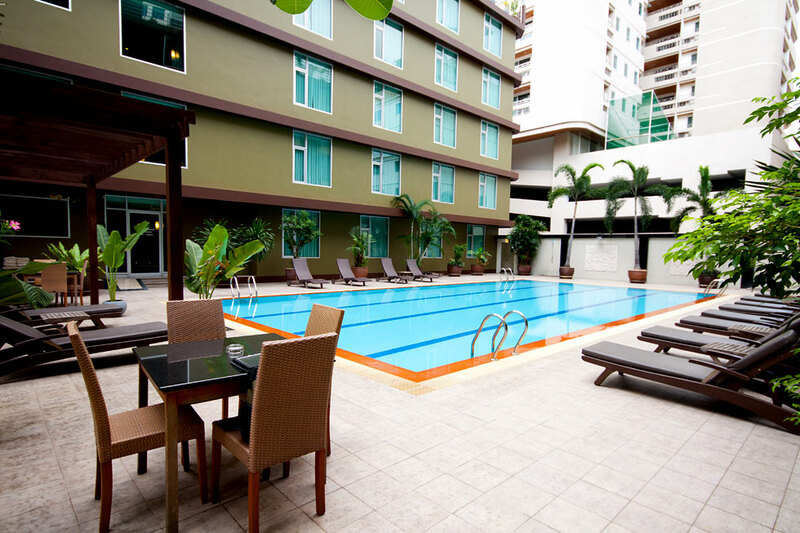 The Dynasty Grande Hotel Bangkok also allows the guests to enjoy the common facilities like swimming pool, which is in the middle of the twin towers and also the fitness centre. 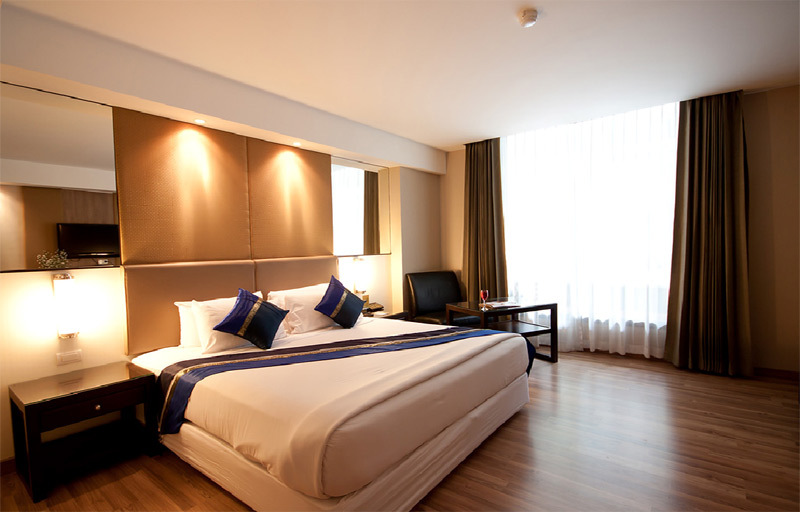 The Dynasty Grande Hotel Bangkok has innumerable facilities that make it the best choice for the visitors to Bangkok. The swimming pool, the outdoor pool, massaging and the fitness centre is some of the highlighting facilities. 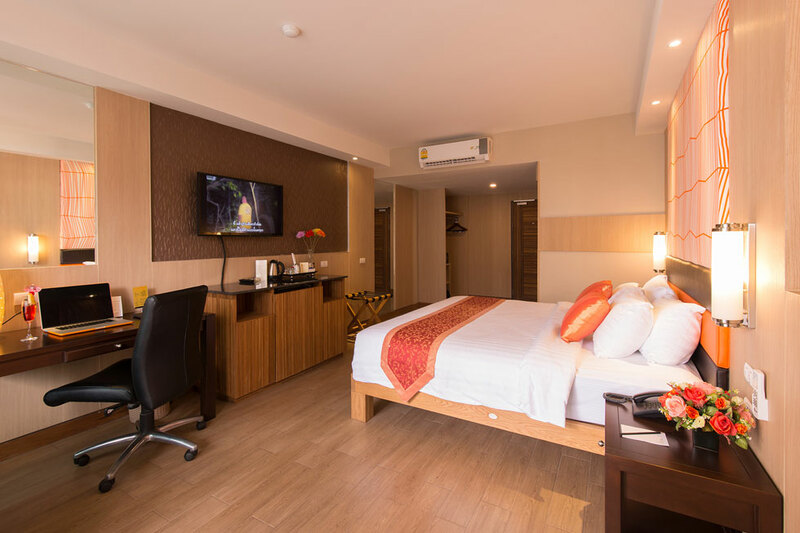 The ATM on Site, laundry, air conditioning in each room, elevators, good quality restaurant, free internet, and parking facilities are also available in the hotel for a comfortable stay of the guests. The staff members of the Dynasty Grand Hotel are very friendly and treat the guests with great hospitality. 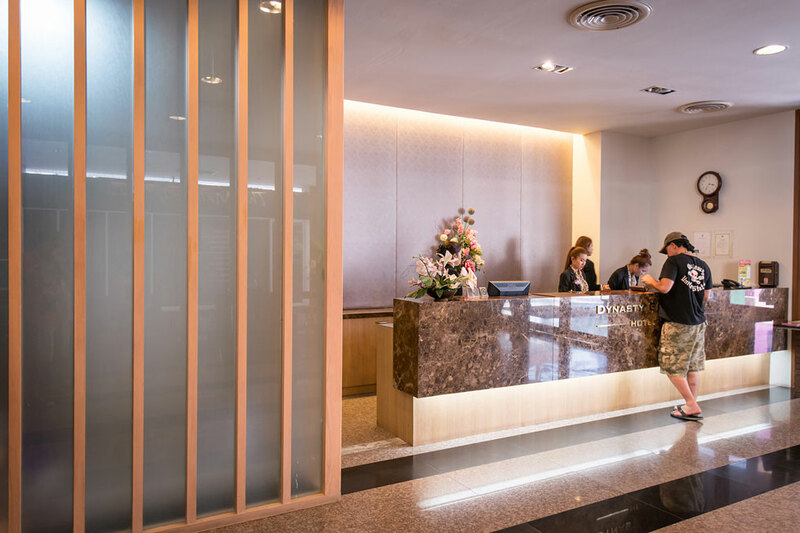 The hotel is capable of providing the guests with a relaxing experience during the stay at Bangkok with spa and other facilities of comfort they offer. 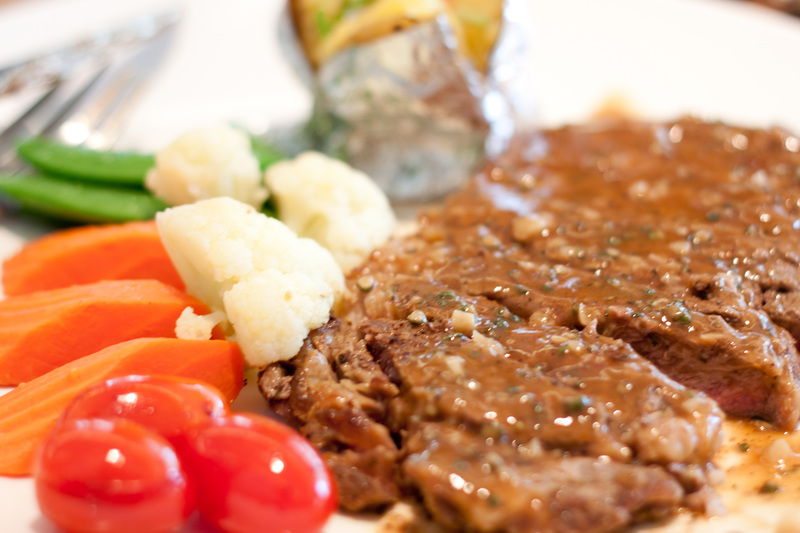 The Dynasty Grande Hotel Bangkok also offers the best options for dining with the bloom caf. It is an open-air terrace restaurant that is designed with a great ambiance for the guests to enjoy their dining with their beloved. The caf offers the best service and is available all day. 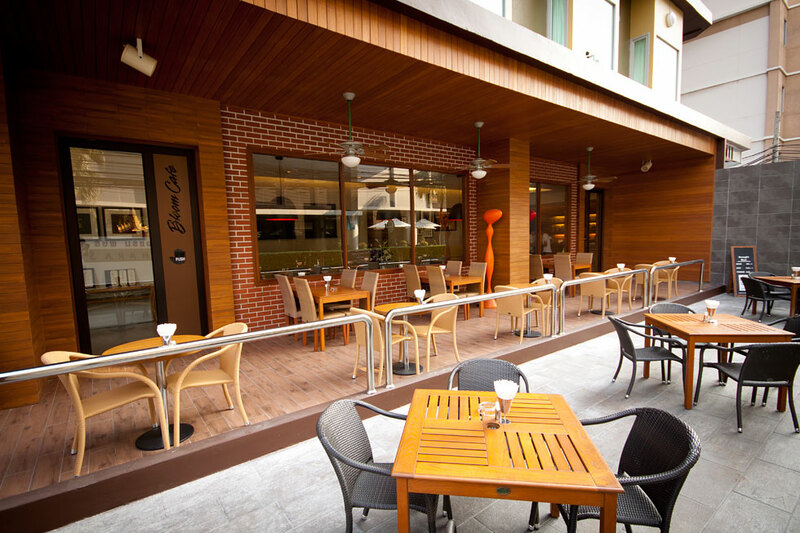 The guests can enjoy the international and Thai fusion cuisines from Bloom Caf. They have a la carte menu with all the kinds of food from the simple snack to a complete meal. 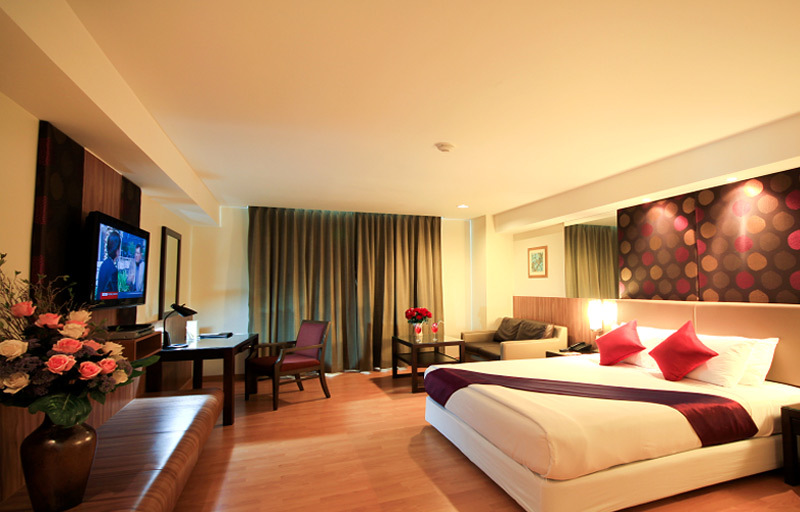 The dynasty grande hotel always arranges all the facilities for the guests to feel great while staying with them. 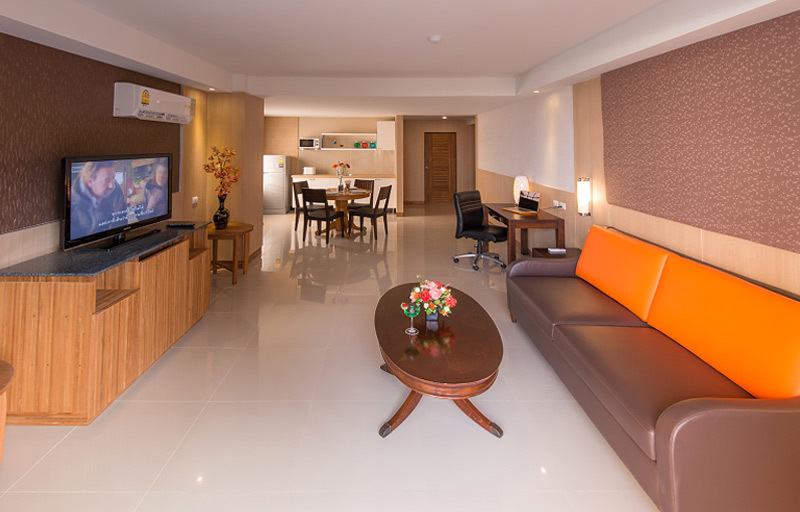 Hotel dynasty grande offers its guests the most amazing experience. 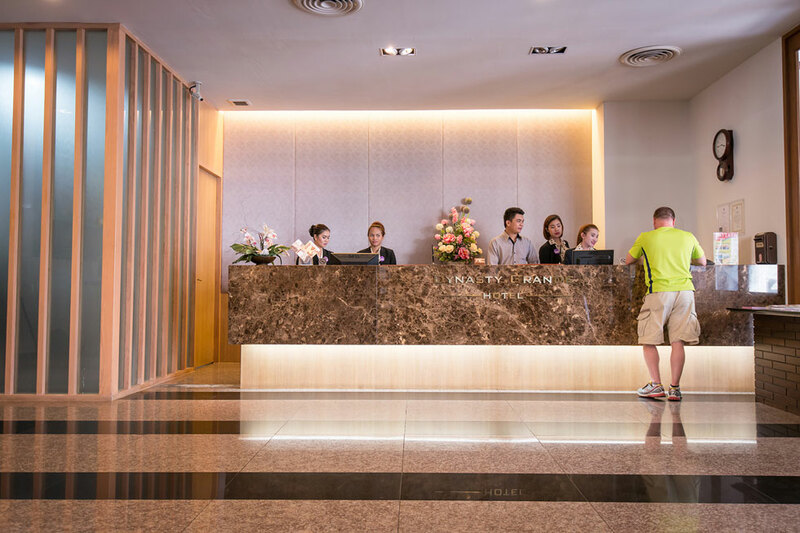 Staying with Dynasty Grande Hotel Bangkok during the visit to the city can make the travel more memorable with plenty of facilities provided. Choose Dynasty Grande Hotel for the most overwhelming experience while you are touring Bangkok. Dynasty Grande is the right pick for a spending trip to Bangkok. Are there any Airport Pickup and drop facilities provided by Dynasty Grande? The Hotel has a fleet of luxury vehicles for the pickup and drop of the guests. Is there Indian food available in the restaurant of Dynasty Grande? 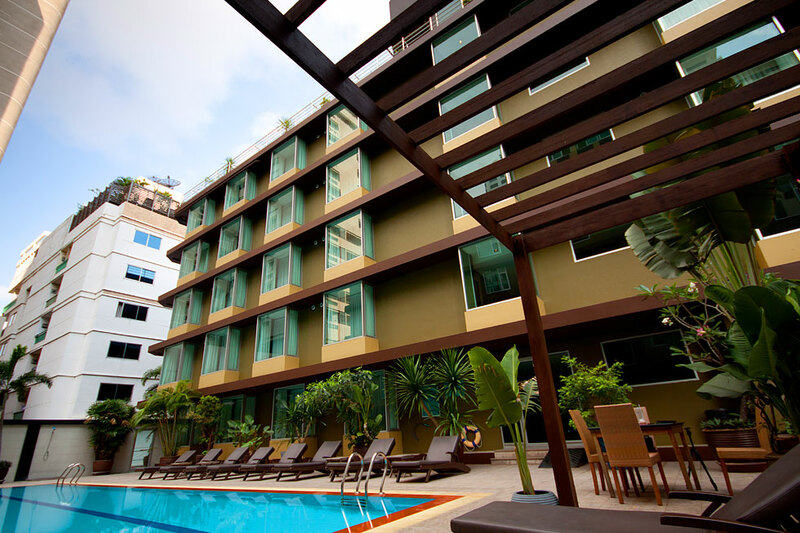 The Hotel at Bangkok has the restaurant named bloom caf and it serves mainly internal and Thai fusion delicacies. How to book for a spa in this hotel? The Hotel offers in-house spa and one can avail the same by dialing 113 from their rooms. The spa is indeed a rejuvenating experience for the guests. Are there any Indian restaurants nearby the hotel? There are many good Indian restaurants available near to the hotel at Bangkok for one to enjoy the best Indian delicacies available in Bangkok. Are there any offers and discounts available at the Hotel? 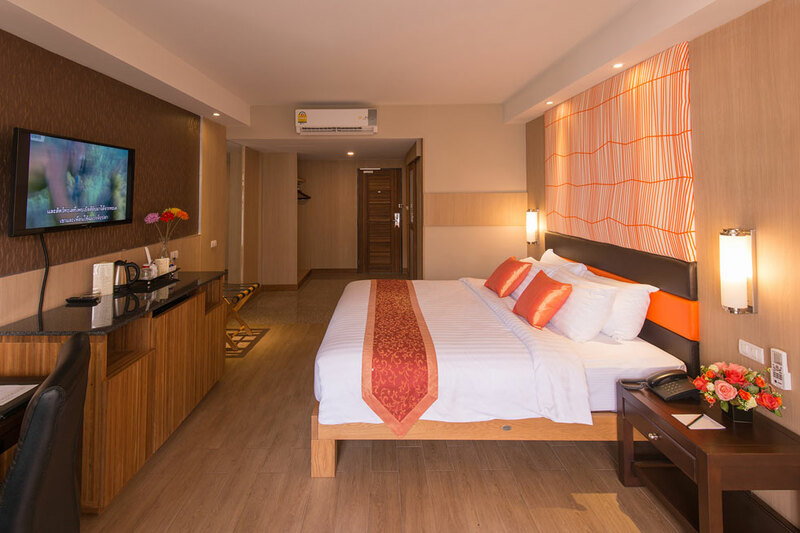 The Dynasty Grande offers discounts and offers booking certain rooms and also for the guests who have stayed more number of times with them. 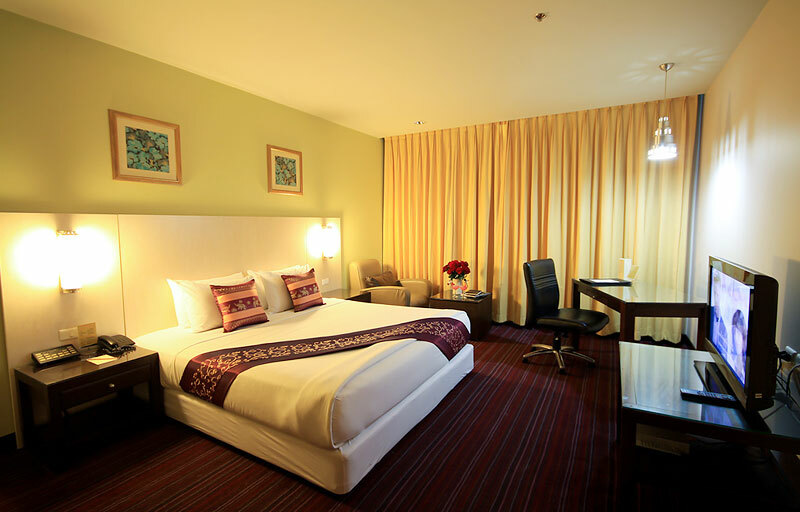 Dynasty Grande Hotel Bangkok is the best hotel that one can avail to stay in Bangkok. It is a 4-star hotel that can be regarded as the best example of luxury. The hotel is equipped with all the best facilities for the guests that include the most sophisticated rooms, the open swimming pool, the multi-cuisine restaurant, the spa, beauty salon and the beautifully designed terrace restaurant that served the best delicacies to enjoy. The hotel also offers their fleet of limousine for the guests to be picked up and dropped at an airport and also for touring in the city. 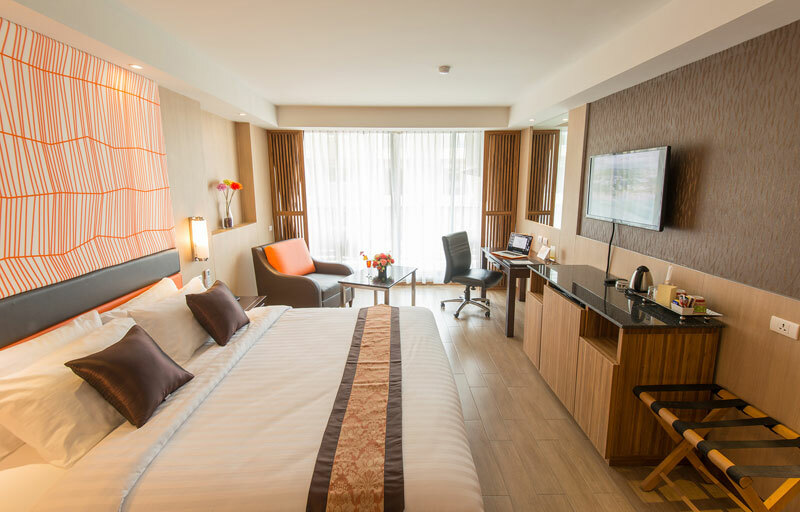 The hotel is located in the heart of the city so that the guests get very easy access to the best shopping centres and entertainment destinations in the city. They also have the best staffs who are capable to handle the guests and make them comfortable. 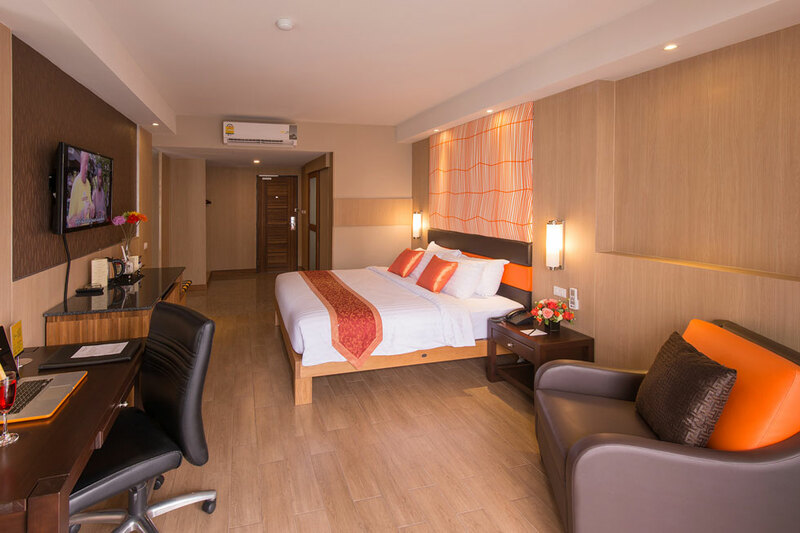 The hotel offers the most delighting experience at much reasonable rate.